William Avery Billy Bishop was born to William and Margaret Bishop on February 8, 1894. He was the second child among the 3 brood. Although he has lisp problem, it did not hinder him to fight back against the bullies in school. In fact, he was known for standing up against them. At the age of 17, he entered the Royal Military College. He fell in love with Margaret Burden the first time they dated and had a long engagement. They were soon married October 17, 1917 and were blessed with a daughter and a son. He was successful not only during the war but also during the post war that he has attained many awards. He died quietly during his sleep at the age of 62. Billy Bishop was born to a privilege Christian family. He was the second among 3 children. He was having a hard time during his earlier education years because of his slight lisp. Even though he has that disadvantage, he was known to be a fighter against those children that bullies him during his school years at the Owen Sound Collegiate and Vocational Institute. Billy avoids team sports; instead he loves solitary activities like swimming and horseback riding. At the age of 17, he was enrolled in the Royal Military College at Kingston, Ontario. His parents feared that he won’t be accepted in the University of Toronto because of his average grade. Achieving good grades was an extra challenge for him which resulted to his difficulty in passing entrance exams. 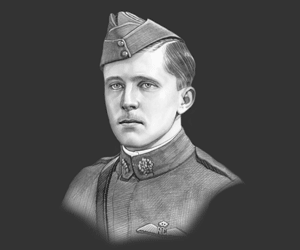 William Avery “Billy” Bishop was born to William Bishop and Margaret Bishop. His father graduated Law at the Osgoode Hall Law School in Toronto and was a successful lawyer. He was also a Registrar at the Grey County. Worth Bishop was Billy’s older brother whom he shared room with until Worth was sent to the Royal Military College in 1901. Margaret Louise Bishop is their younger sister born in 1895. Billy was closer to his younger sibling since they only have a one year gap. His closeness with his younger sister brought him to meet the love of his life, Margaret Eaton Burden. After a long engagement, they got married on October 17, 1917 ay Timothy Eaton Memorial Church in Toronto. The couple was blessed with a daughter namely Jackie and a son, named Arthur. Billy was commissioned as an officer for the Mississauga Horse cavalry regiment during the First World War; however, he became ill when they were sent overseas. After he recovered, he was transferred to the 8th Canadian Mounted Rifles and showed off his ability with a gun. He had outstanding eyesight which gave him the advantage of being able to shoot targets that were so far away that normal eyesight could only distinguish as a dot. In June 6, 1915, he left Canada and went to England boarding the cattle-ship Caledonia. Near the coast of Ireland the convoy was attacked with 2 ships being sunk with the loss of 300 Canadians. Luckily, Bishop’s ship was unharmed. While Billy was in France, he transferred to Royal Flying Corps but there was no available spot for pilots in the flight school so he just observed. Later in September, he trained in an Avro 504 flown by Roger Neville. He so was good at taking aerial photographs that he took charge of training the rest of the observers in camera use. On his first combat mission, he was assigned as an aerial spotter for British artillery. The first attempt at takeoff was unsuccessful so he and his partner, Neville, had to remove the bomb load and machineguns. Their task consisted of reporting the coordinates to the British Army whenever they spotted any artillery on the German lines. When Billy got his pilots wings, he asked to be transferred to France. On March 17, 1917, he flew a Nieuport 17 fighter for he first time. Based on statistics, the life expectancy of a new pilot flying in that sector was 11 days. Billy was lucky to survive as German aces were shooting down British rookie pilots all the time; and he was having trouble controlling his new aircraft. This was just the first struggle for Billy; however, he was soon victorious and shot and wounded Leutnant Theiller. From this time on combat success stories just kept coming. 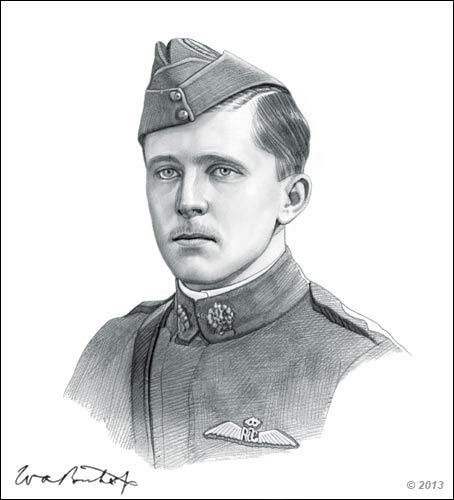 By the end of World War One, "Billy" Bishop had 72 air victories credited to him. Billy died in his sleep on September 11, 1956 in Palm Beach, Florida. He was given a full Air Force Honours during the funeral service in Toronto, Ontario. His body was cremated and the ashes were buried in the family plot in Greenwood Cemetery in Owen Sound, Ontario. A memorial service in his honour was held at St. Paul’s Church, Bristol, Portland Square, Bristol, United Kingdom on September 19, 1956. His bravery and records of winnings have inspired young combat pilots to be like him. In fact, a famous Canadian play was created - Billy Bishop Goes to War, depicts the true story of a young man whose credibility has been questioned with a lot of controversies. Well, this could be because not all people were able to witness how he successfully survived all those attacks. It was only his mechanic who can prove the stories were not fictitious. "On the edge of destiny, you must test your strength". "In nearly all cases where machines have been downed, it was during a fight which had been very short, and the successful burst of fire had occurred within the space of a minute after the beginning of actual hostilities". "The most important thing in fighting was shooting, next the various tactics in coming into a fight and last of all flying ability itself". A Military Cross and a promotion to Captain was awarded in recognition of the success of his new method of surprise attack where he would always lead his troops at the front of the pack. On May 1917, he once again won another award – the Distinguished Service Order for shooting down 2 aircrafts while being attached by 4 others. A Victoria Cross was being awarded for shooting down 3 aircrafts and several more on the ground. At the commencement of WW2 in 1939, he became the Director of the Royal Canadian Air Force and took charge of recruitment. He was very efficient with this task and created a system for training pilots all over Canada. This picture of William Avery Bishop is Copyright © June 2014 Siteseen Ltd. We only allow this picture to be used for printed non-commercial purposes and particularly encourage it's use for printed educational non-commercial purposes. This William Avery Bishop picture is not in the Public Domain. 3) Use of this William Avery Bishop picture, or any of our pictures on websites re-distributing copyright free material is strictly prohibited.